The "Solitary Coast" of northern New South Wales on the Australian east coast draws its evocative name from the Solitary Islands group that comprise five main islands and numerous associated rocks and reefs stretching along the continental shelf from Coffs Harbour in the south to Wooli in the north. South Solitary Island, with its iconic lighthouse and surrounding marine park is probably the best-known of the group. 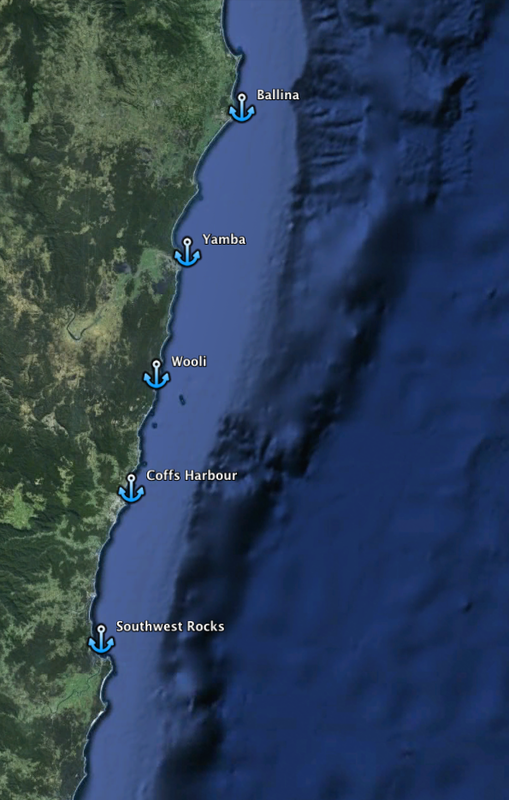 This area is also commonly referred to as the "Coffs Coast" after the largest regional centre here. But, no matter what you call it, this is the centre of a relatively under-developed game fishery that co-exists with a large marine park, and is becoming the focus of a growing fleet of game boats with an expanding cadre of keen anglers. It's here in these waters that some of the most diverse year-round game fishing on the east coast can be experienced, with three marlin types, other billfish species such as broadbill swordfish, short-billed spearfish, and sailfish, several species of tuna and mackerel, wahoo, and the ubiquitous mahimahi all passing through these waters at various times of year. All this is easily accessible to game fishers thanks to the fact that the continental shelf is closer to the coast here than any other point on the Australian east coast, being just a quick 13 nautical mile ride from the harbour. This allows you to be blue marlin fishing on the edge of the shelf just 40 minutes after you leave the marina, which means that a 10-hour day out here translates to over 8.5 hours of straight fishing.